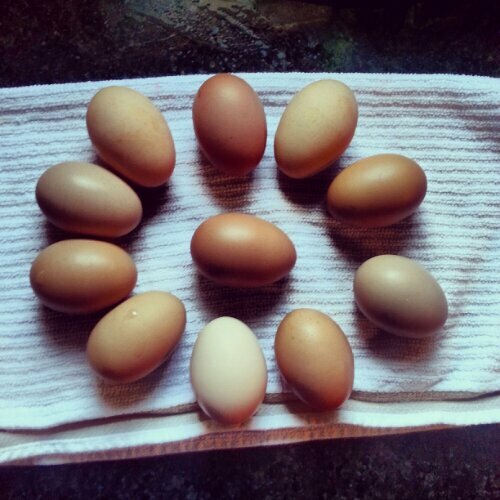 I just washed and stored our eggs from the last two days. As I laid them on the counter to dry off, I noticed how varied the colors are. Some have hints of red, some are nearly white, and some are speckled. It’s been so long since I opened a carton of grocery store eggs that I can’t recall if store bought eggs normally have this much color diversity, but I appreciate it either way. I almost wish I knew which hens were laying which eggs, but that would take a lot of interrupting them as they laid all day.